Ceramic pottery did not make an appearance in Peru until 1800BC, and it did not appear in the Lake Titicaca Basin until as late as 1200BC. Most scholars believe that a civilization does not occur until ceramic pottery comes into use. They also believe that one of the main criteria for a civilization is that it have developed arts. In Peru, we find pre-ceramic civilizations that developed arts. These early people constructed the largest architectural monuments in the hemisphere. Here, near the Peruvian coastline, they constructed huge ceremonial centers. These pre-ceramic people worked with a variety of media including: fabrics, shell, stone, bone, baked clay, gourds, wood, basketry, bark cloth, and fabrics. Textiles were prevalent in these early societies, and much time was devoted to weaving. Stripes, diamonds squares, chevrons, two headed serpents, crabs, fish, and birds were popular textile designs. Also, these early people painted their elaborate ceremonial centers in rich polychrome paints. This included painted faces on large ceremonial mounds. Three pre-Incan cultures from the Lake Titicaca Basin had a profound effect on the development of future Incan artist media and styles. The Chiripa culture existed between 1400 and 850BC. On the Bolivian side of the lake they developed sophisticated ceramic styles that included: bowls, cooking pots, and drinking vessels painted in red, black and cream polychrome paint. The Chiripa potters also produced ceramic trumpets. The trumpets are some of the earliest known instruments found in the Western Hemisphere. These people also worked with copper, tin, and brass. The Pukara culture was located 65 miles northwest of Lake Titicaca. It emerged around 400BC. The Pukara ceramics were highly sophisticated, passing through several stages of development. The vessels were slip-painted in red, yellow, and black, and decorated in pictures of birds, llamas, cats, and humans. They also developed a ceramic trumpet and drinking vessels with beakers. The Pukara were also excellent sculptors. They created both full round and flat relief stelae type carvings on stone slabs. Full round sculptures usually were of realistic human origin, while the stelae were of cats, serpents, lizards, fish, and people. 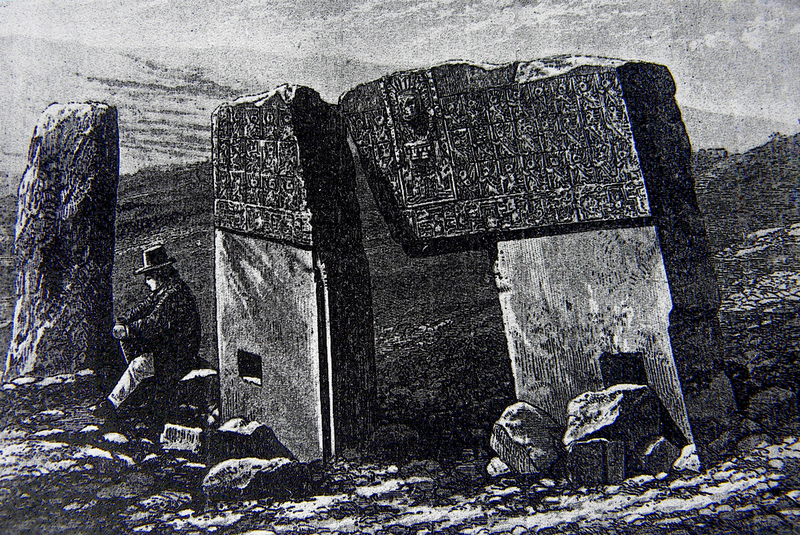 The Tuahuanaco or Tiwanaku culture developed 12 miles southeast of Lake Titicaca. This culture lasted for more than 1000 years before it ended around 1000AD. It had more direct influence on the Inca Civilization than any other. These people were very technologically advanced. They worked intricately with textiles, ornate wood carvings, and gold jewelry. They also created amazing stone carvings. Artist and craftsmen were held in high esteem by Inca royalty. These specialists were recruited by the thousands to work as metal smiths, jewelers, ceramicists, and textiles. Artisans were important because the ancient Incas used textiles and jewelry as currency. Here artisans were so valuable that they were allowed to wear ear spools which was a privilege otherwise reserved for the Inca elite. The great art styles of the Andes are referred to as government or corporate art styles. This is because the ancient Inca used textiles and art work as currency. This placed artisans in direct service of the state. Artisans and craftsmen were subsidized by the government and the nature of their work was dictated by the Incan royal family. It was the great Incan ruler Pachacuti who fostered the idea of royal government and religious design motifs and iconography. It was not easy turning peasants into skilled artisans. The rulers of Cuzco turned toward the city-state of Chimor to fill this need. The lords of Chimor had subsidized legions of metallurgists in an attempt to monopolize the production and circulation of gold and silver. Next, the Incas would conquer the ancient city of Lambayeque and resettled tens of thousand of artist and craftsmen to the city of Chan Chan so that they could directly serve the Inca rulers. Almost all of this beautiful work created by the metallurgists was melted by the Spanish Conquistadors. Soon after the Spaniards conquered the Incas they realized that great treasures existed inside some of Peru's greatest ancient monuments. The Spanish soon began looting operations, and before long they became so financially rewarding that they began calling it mining. Ancient monuments were divided into claims and titles were registered. The King of Spain, Charles V received 20 percent of the wealth extracted from the ruins and he soon established a royal smelter for the gold and silver in the Moche Valley. One by one they looted the mausoleums of Chan Chan, then they turned their attention towards Cerro Blanco and the enormous pyramids of Huaca del Sol and Huaca de lal Luna. Here they diverted the Rio Moche and systematically began mining the relics. After four centuries of monument mining there is one positive result, vast quantities of artifacts exist in museums around the world. Today fine ceramics, exquisite textiles, and wood carvings are plentiful, however the Spanish did not keep a record of what came out of where. This makes it very difficult for museums and private collectors that would like to know the exact origin of the artifact.